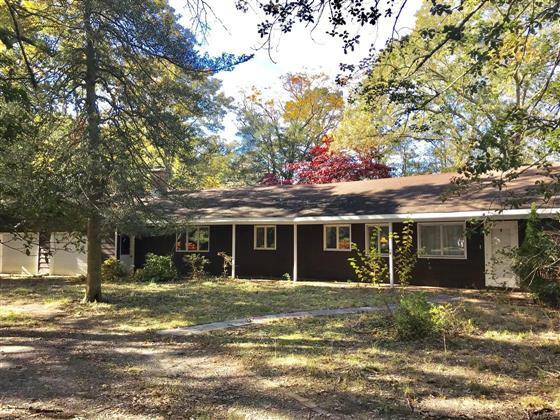 Sprawling Meadow front, Patcong Creek front Ranch at bargain price for a handy astute owner who knows that 200+ waterfront in Linwood will be a heckuva investment for the future! Set back off street 100ft with circular drive and ospreys, hawks, eagles, and dramatic sunsets are your neighbors to the west. Will require some updating in kitchen, baths, and even removal of a wall or two may enhance the unique views and premier location of this huge family room with full brick wall fireplace, 3+ attached garage. Above ground oil tank/gas is run to house. The best of all worlds awaits your vision, foresite, and enthusiasm to create once in a lifetime paradise. Possible subdivision, too! Over an acre as it sits.